The #1 drama on CBS will be back next season. 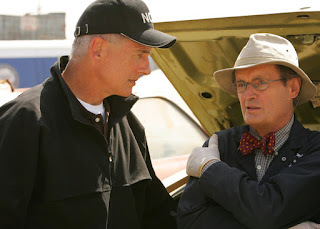 NCIS has been renewed today for a sixteenth season, not that its future was ever really in any doubt. It is the first CBS Tuesday show to be renewed for next season, and it joins fellow dramas SWAT and SEAL Team on the schedule next year. The series first premiered on the network in 2003 and has been a staple of the network's schedule ever since. The series stars Mark Harmon, who has signed on for next season, as well as a large supporting cast that includes David McCallum, Sean Murray, and the departing Pauley Perrette. The season is currently averaging a 1.4 in the golden 18-49 demographic. This was a correct prediction for the TV Ratings Guide. What do you think of this renewal? Are you as unsurprised as I was? Let us know in the comments below!